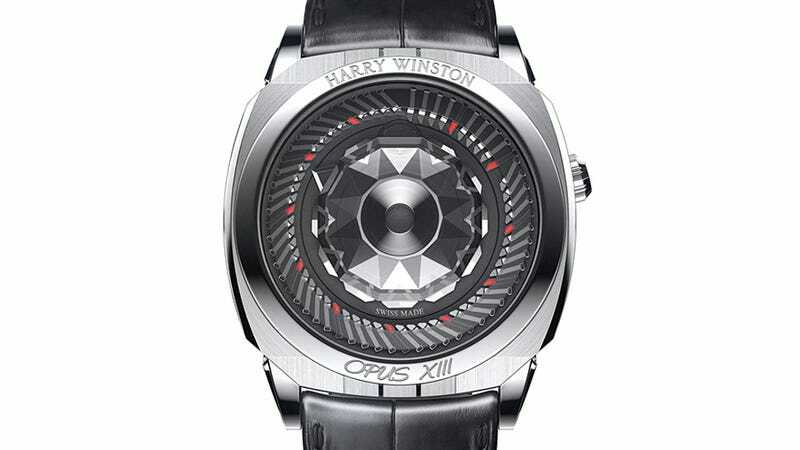 Harry Winston prides itself on thinking outside the box, or the watch case, when it comes to designing new timepieces. Particularly with the company's Opus series that seems determined to get rid of traditional watch hands once and for all. The Opus XIII—or the Opus Thirteen if your roman numerals are a little rusty—uses a series of 59 moving ticks to represent the minutes, and a series of pop-out triangles to indicate the hour. It's another one of those complicated movements that's easier to understand in motion, so we recommend staring in awe at promotional video.